Last week, The PRDude opened the door to you, kind followers, to a new online platform called Pinterest. For the record, I learned about this resource, a place to “pin” images from websites or your browser and encourage dialogue, the old fashioned way: From a print newspaper article. Much to my satisfaction, my request to become a Pinterest subscriber was approved. I’m now an official Pinner, as we’re known. I trust calling users “Pinheads” had too many derogatory connotations; plus, there’s a great song by The Ramones with the same name. Don’t think too many fans of that seminal punk band are Pinners, but these days you never know. 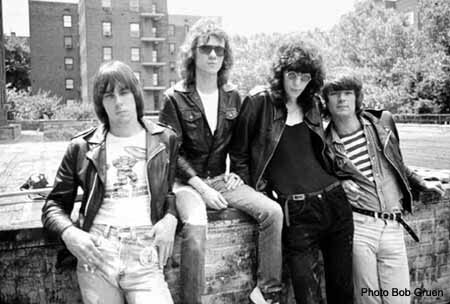 And, only one of the original Ramones is still with us, and I have no way to reach him. Perhaps I could pin a few Ramones images and gauge the reaction. But I digress. Remember: This blog is supposed to cover public relations. So, I’ll concentrate future pins on that subject, the one that inspired this blog way back in September of 2009. In my last post I posted a few generic “public relations” images I found through a Google search: Two charts, a slogan on a T-shirt and a pair of dice with the headline: “Don’t leave your public relations to chance.” Of course, there’s lots more. Don’t think these images will generate many comments or “likes,” especially since Pinterest does not yet have a Public Relations, Marketing or Communications category. There is an Other category that has everything from a picture of an Almond Joy bar to one of a brown eyed man. So the dilemma: What visually depicts public relations — a profession and a practice, one driven by strategy, built on research and effective communications, bound by adherence to ethics and so often totally misunderstood by the vast majority of people, including many who claim to be practitioners? I’ll try and report on any comments from my fellow Pinners. And, you, those reading this post: What are your thoughts? What images depict the public relations profession and practice? Please partake at your pleasure.